SEMENYA McCORD, vocalist/music educator/composer, earned her degree in Music Education from Knox College in Galesburg, Illinois. 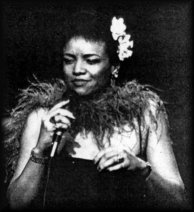 Her popular musician father, the late Ken Henderson, was an early and significant influence on her desire to sing and touch people through music. At the University of Massachusetts in Amherst she was turned on to the powerful traditions of gospel music with Horace C. Boyer and of jazz with master drummer Max Roach and reedman Archie Shepp. 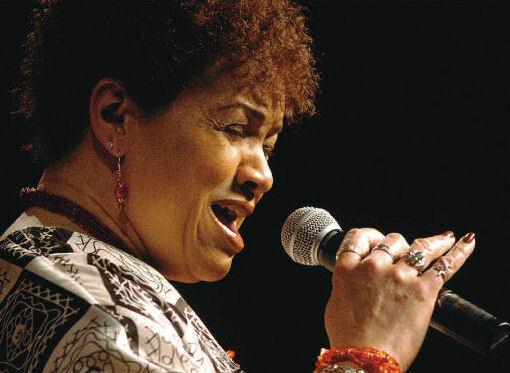 McCord has been performing throughout New England since 1975, developing programs and residencies featuring spirituals, blues, traditional and contemporary jazz for audiences of all ages through Young Audiences of Massachusetts, Inc. the Massachusetts Cultural Council, and the New England Foundation for the Arts. Since 1982, as Artistic Director of Hemisphere Associates, a collaboration of New England performing artists, she has directed annual tributes to the life and "dream" of Martin Luther King, Jr., the music of Billie Holiday and Duke Ellington, and community events that celebrate cultural diversity through the arts. From 1991 to 2003, McCord taught part-time at the University of Massachusetts in Dartmouth, teaching "The Art of Rock & Roll and "Jazz: A Listener's Guide". She also taught private voice students at the Longy School of Music in Cambridge, The New England Conservatory's Preparatory and Continuing Education Division in Boston, and the Applied Music Program at Tufts University in Medford, Massachusetts. Having returned home to Galesburg in 2003, McCord is teaching jazz voice and related classes at both Carl Sandburg College and Knox College. She completed her Masters in Music, with a concentration in Jazz Studies, at Northern Illinois University in May, 2006. McCord is an active member of the International Association for Jazz Education, Sigma Alpha Iota International Music Fraternity, and the Music Educators National Conference.